MECRUS brings the vast experience of its asset management team to current and new projects in the water industry. 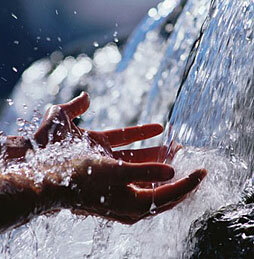 The company operates in the water industry through Australian Groundwater Technologies P/L and Desaln8 P/L. These relationships make available both specialised groundwater expertise and the most advanced desalination technologies. In keeping with the Mecrus philosophy of managing project risks, the company offers performance-based contracts which are tailored to meet clients' business goals. Australia's above ground, fresh water resources are already under extreme pressure due to climate change and a growing population, yet the country has vast untapped groundwater reserves that it can draw on sustainably through the application of appropriate technology and management. Mecrus/AGT is a recognised Australian leader in developing cost effective techniques that will allow the use of groundwater as a major, exploitable and sustainable water resource. With many years of experience in the operation and management of water assets and much of its own intellectual property (IP), Mecrus/AGT brings a holistic, continuous improvement approach to water management. Client companies that engage Mecrus to operate, maintain or manage their facilities are assured of the extra resources of the wider Mecrus team when faced with new challenges. Mecrus/AGT applies leading edge management solutions and technology to achieve maximum customer satisfaction in the pursuit of environmental best practice. Mecrus/AGT is an industry leader in ASR. Through ASR storm water and treated waste water can be stored in underground aquifers in close proximity to usage sites and can be recovered and delivered for use when it is needed. Where it is a feasible application, the economics of ASR are far superior to tanks or dams in both residential and industrial situations as ASR uses existing infrastructure and is very environmentally friendly. 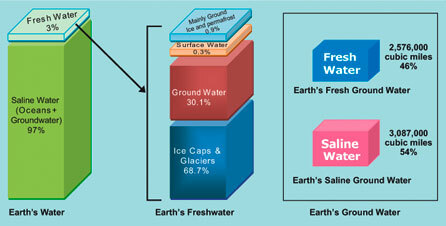 More than half the earth's vast reserves of groundwater are brackish or saline and, for the most part, are unusable without desalination. Mecrus/Desaln8 creates potable water from saline aquifers using a patented, energy efficient process that emulates the natural desalination process of large trees. The In Situ Desalination (ISD) technology has distinct technological and economic advantages over conventional above ground desalination plants. The technology reduces the overall footprint required for a desalination plant when compared with conventional above ground units. Further the ISD method of dealing with the brine rejects significantly reduces the operational cost associated with the device. Successful trials in Western Australia using reverse osmosis membranes indicate the potential for a single ISD unit to produce 24 megalitres of high quality water per unit, per year from every 60 megalitres of brackish/saline groundwater. ISD can be installed in a bore field arrangement allowing a number of ISD units to be inserted into the aquifer to deliver much greater volumes of water. Mecrus /Desaln8 has received a 'Commercial Ready' grant from the Australian Government to further refine the Desaln8 process with trials to be conducted in Victoria, South Australia, Western Australia and India in the near future. Given the immense reserves of brackish and saline groundwater, the potential for Desaln8 is virtually unlimited. Australian Groundwater Technologies (AGT) Pty Ltd was founded in October 2000 as a specialist groundwater technology consulting company with a focus on aquifer management, artificial recharge (AR) and Aquifer Storage and Recovery (ASR). In September 2004, AGT became a subsidiary of Mecrus in order to more fully develop its capabilities in groundwater projects. Harnessing groundwater for agriculture, industry and human use. leadership in the development of groundwater as a sustainable water resource. A recognised Australian leader in developing cost effective techniques that will allow the use of groundwater as a major, exploitable and sustainable water resource. 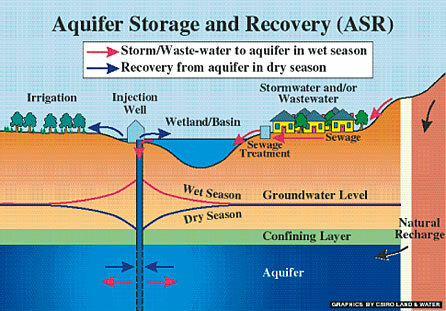 Among its many solutions for the water industry, Mecrus/AGT is an industry leader in Aquifer Storage and Recovery (ASR).